We have boys and girls available for adoption. Gotcha Day is June 10th. Heart is looking for her forever home. She is very bright and loving. Prince is looking for his forever home. He is very smart and curious. He loves to run around our kitchen and play with the toys. 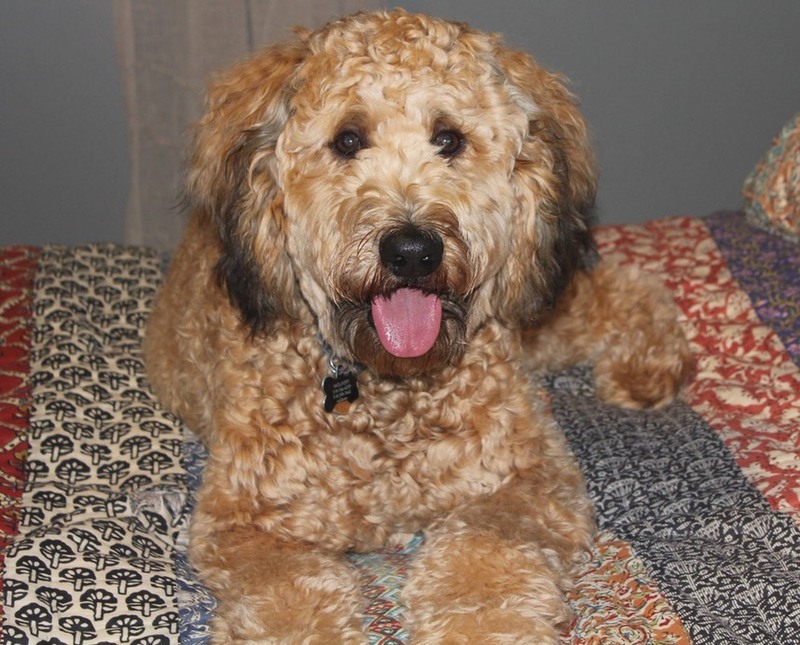 One of our whoodle pups is now 9 months old. What a handsome boy. 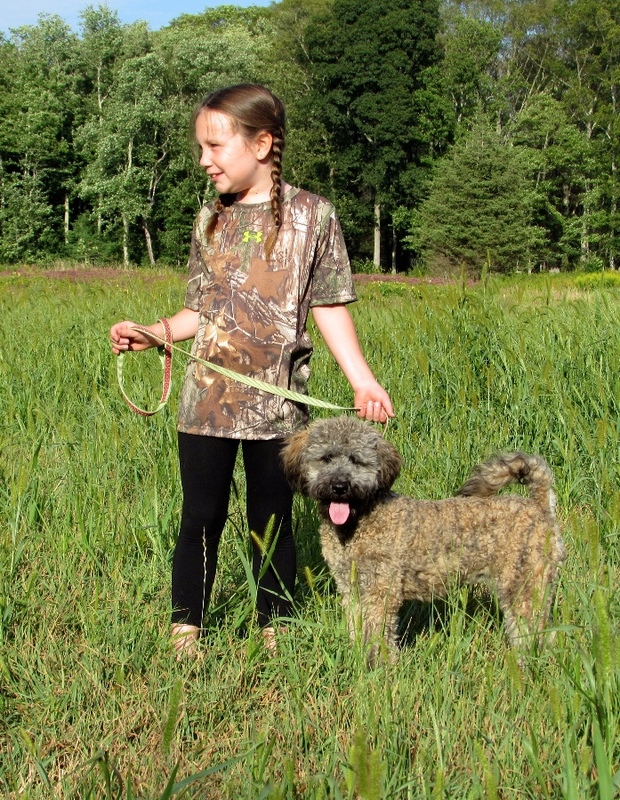 Roary (our whoodle) standing pretty with Vivienne. 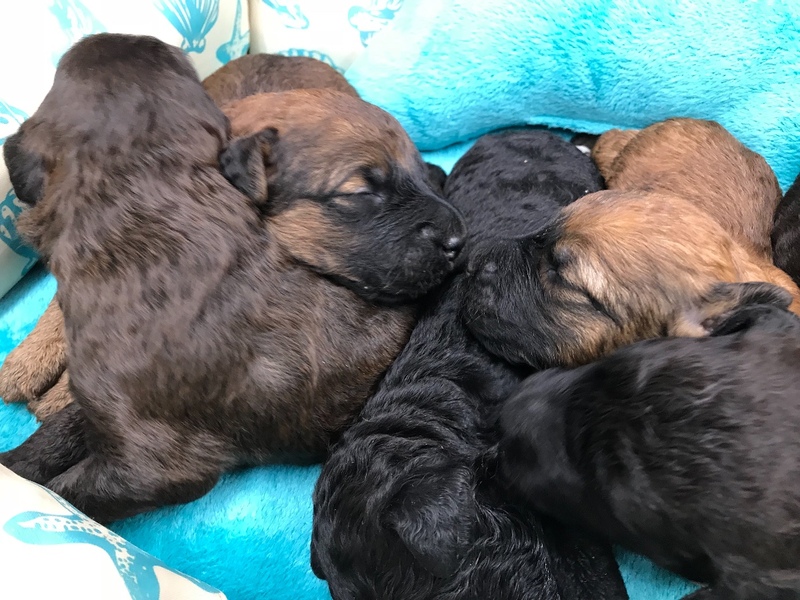 Boys and girls available for adoption. Call for more details. 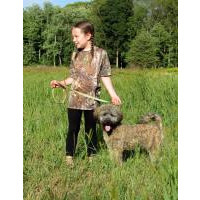 A delightful Soft Coated Wheaten - Poodle Designer breed! 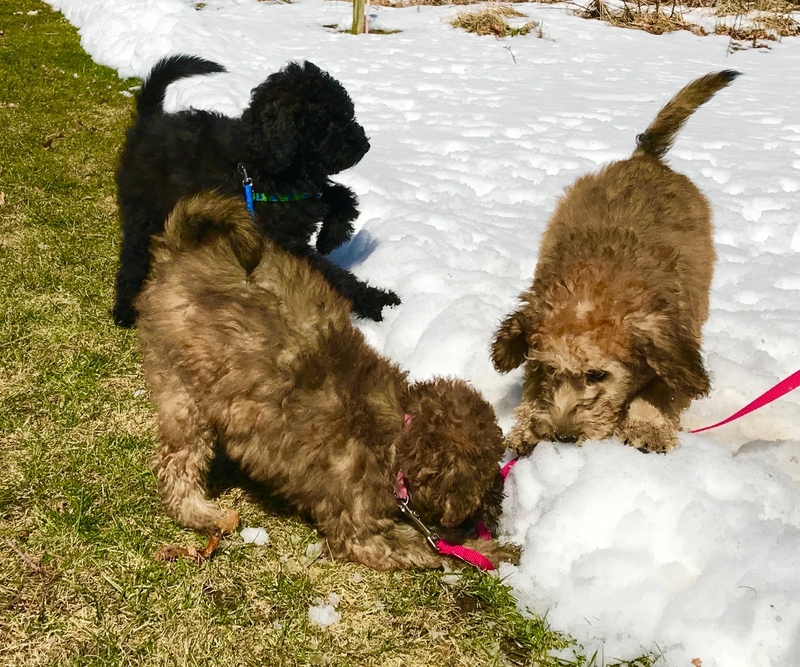 Genetic PLN testing done on all SCWT Parents. 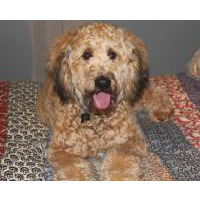 Neonatal Encephalopathy, Type 1 vonWilebrand's disease and Degenerative Myelopathy testing done all my Poodle Parents. All parents are on site.